We have an urgent and immediate need for foster parents who will show the love of Jesus to children who have been abandoned, neglected and abused. Ready to take the next step in your foster care adventure? People like you are changing children’s lives by opening their homes and their hearts. We have foster care offices throughout the state with expert and compassionate staff members who are ready to help you take the next steps to being a foster parent. children in Florida are removed from their homes each year due to abandonment, abuse and neglect. They need loving and stable homes. By becoming a foster parent, you can help bring children from lives of crisis to lives of belonging and love. Contact us to start your foster care adventure today, where you’ll learn first-hand the impact of caring for one more child. In addition to the option to care for foster children in your own home, we have opportunities around the state for licensed foster parents to live rent-free in homes maintained by One More Child. Through our innovative Foster Family Home model sibling groups get to stay together in these multi-room, fully furnished homes and individuals who do not currently have the space or accommodations to care for several foster children have all they need to succeed. Even if you are not ready to jump into full-time foster care, you can become licensed through One More Child to offer respite care for other licensed foster parents. This allows foster parents to recharge, make short trips out of state if needed, and provides you the opportunity to bless children and foster parents in a unique way. Inside every church are uniquely gifted individuals who collectively can transform the world for Christ by intentionally supporting our ministry to children and families. Our Orphan Care Plan gives you the tools to engage your church leadership with ways to offer prayer, respite and resources today. Email our church engagement team today to learn more. There are children in our communities whose lives are unstable and whose challenges change day to day. They have mothers who deeply love them and want the best for them, but their moms don’t have the resources or support systems to succeed. Melissa Poole serves as the Executive Director of Foster Care Ministries for One More Child (OMC). She has been with OMC for more than 11 years, previously serving as the North Florida Administrator and the Director of Community Ministries. 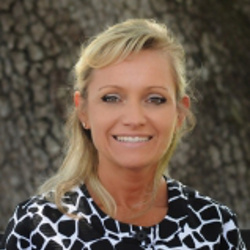 Melissa has been a Certified Behavior Analyst in the state of Florida since 1993 and has also been a Licensed Mental Health Counselor in the state of Florida since 1995. She is also a qualified supervisor for counselors seeking licensure. Melissa has more than 20 years experience working with children, youth and families in crisis and has received specialized training in trauma-informed care as well as infant mental health. Melissa is a member of Chets Creek Church and volunteers in the preschool ministry. She has been married to Ray Poole since 1991 and has a daughter and stepson, Hannah and Blake, along with two grandsons and one granddaughter, Addison Colton and Kennedy. Melissa is available to speak on the following topics: Foster care, trauma-informed care (effects of abuse and neglect on children/youth), infant mental health, discipline/behavior modification and emotional and spiritual needs of children.